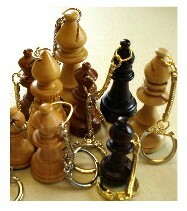 Full Side Plastic Chess KeyChains "
Full Side - 16 Pieces - Plastic Chess Key Chains, Color Key Chains. 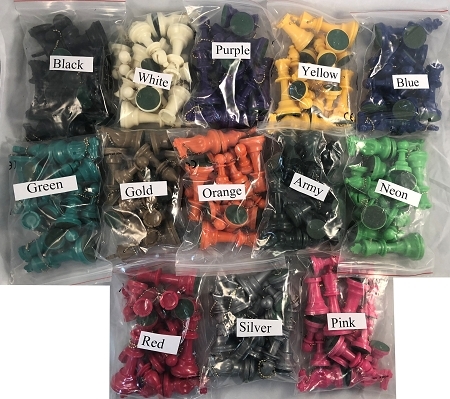 Choose One Color Full Side - King, Queen, 2 Bishops, 2 Knights, 2 Rooks & 8 Pawns. 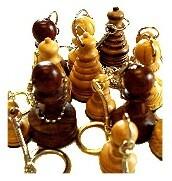 King Height 3 3/4". 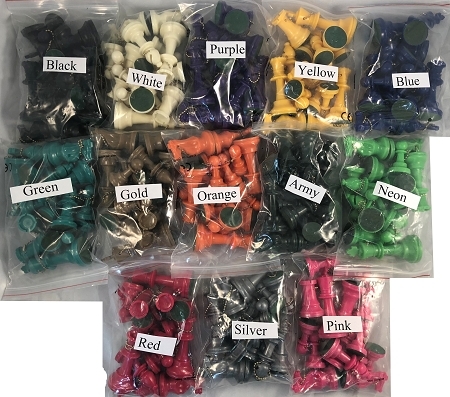 Full Choice of colors.